We are proud to provide the highest quality physical therapy, occupational therapy, speech therapy, and orthotic needs for children from birth to 18 years old. Whether a child needs assistance with walking, handwriting, or talking, we are dedicated to providing the best treatment available in a fun, kid-friendly environment! Kristina Peterkin is a speech-language pathologist in Omaha, NE. 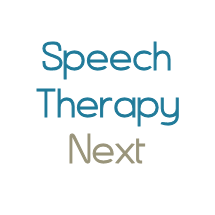 Practice Type: • Office Practice Areas: • Speech Language Pathology • Speech Therapy Take the next step and contact Kristina Peterkin for a consultation in Omaha, NE or to get more information. Crystal Ahlborg - Heath is a speech-language pathologist in Papillion, NE. Practice Type: • Related Professional Org Practice Areas: • Speech Language Pathology • Speech Therapy • Augmentative Alternative Communication Take the next step and contact Crystal Ahlborg - Heath for a consultation in Papillion, NE or to get more information. Nicole Cooper is a speech-language pathologist in Lincoln, NE. Practice Type: • School Practice Areas: • Speech Language Pathology • Speech Therapy Take the next step and contact Nicole Cooper for a consultation in Lincoln, NE or to get more information. Gayle Ellis is a speech-language pathologist in Lincoln, NE. Practice Type: • Office Practice Areas: • Speech Language Pathology • Speech Therapy Take the next step and contact Gayle Ellis for a consultation in Lincoln, NE or to get more information.